On the sidelines of a press conference of the Bangalore Bus Prayaanikara Vedike (commuters’ forum), a survivor of sexual harassment narrated her recent experience on the city’s Metro. She’d complained to the police, who hauled in the perpetrators – white collar employees of a prestigious global brand. She got them to the police station with some difficulty. A staff member of the Metro had resented having to help her by locating the CCTV tapes and so on. The now chastened young men pleaded with her, saying one of them had to head back to his job in the Middle East and his visa status would be affected in case he faced criminal charges. That the young men had spent a few hours in the cooler and had received beatings from the cops was good enough for her. Police beatings and torture are routine and it is taken for granted that they happen – never mind constitutional provisions and the heck with the International Covenant on Civil and Political Rights. “I’m sure they’ll never do it again,” she said, defending her decision to let the perpetrators go scot free. She admitted that in most instances police would not have cooperated with women approaching them with complaints of sexual harassment. They normally have little time for ordinary citizens. But in her line of work she and her colleagues deal with the cops day in and day out. It was a rare instance of the police showing far greater alacrity than the survivor of sexual harassment to book an offender. A couple of weeks ago, the driver of a public bus in Bangalore verbally abused and slapped a 16-year-old girl. He had asked her to move back in the bus, using abusive language. She’d said: “Uncle, I will, but there’s no space.” The bus was crowded. He got up from his seat, asked her, “how dare you talk back to me?” and slapped her. Unbeknown to him then, he’d picked on the daughter of a trade unionist. 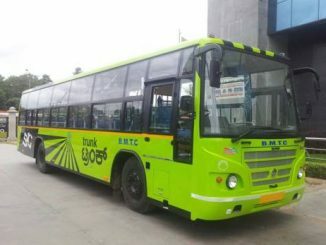 Madina Taj of the Garment and Textile Workers Union complained to the police and to his employers, the Bangalore Metropolitan Transport Corporation (BMTC). Ms Taj (her name is being used here with her concurrence) says she has faced great pressures since then to drop the complaint. BMTC officials, the police, the head of the school where her daughter studies, the office of a Member of the Legislative Assembl – they have all been leaning on her. Hello, a young person was traumatised, she was unfairly subjected to verbal and physical violence, her family was traumatised… Will someone please think about her, her mother – who has handled numerous cases of harassment of all sorts as a trade unionist – and the rest of her family? Strange is this society in which survivors of sexual harassment, assault, violence and worse are expected to – and some even feel they need to – show consideration, understanding, concern, compassion and the rest of it for the perpetrators! The above apart, I suggtest that BMTC may consider the following suggestions to avoid sexual harassment of women inside BMTC buses:: (a) running women only buses and (b) by bifurcating the bus in the ratio 60:40. Women special buses will eliminate the increasing sexual harassment problem; such buses were being run earlier by BTS/BMTC and can be revived. The other solution is, providing partition inside the bus with strong steel grills with suitable small designs for ensuring safety and security for women commuters. Provision of a door for conductor to move about would help in issuing of tickets on both sides. Practical solutions are the best in such situations since no amount of awareness or trying to teach morality are being respected by certain elements who travel alongside. Another suggestion is that seats occupy major space inside the buses and deny standing space for commuters while a few people sit, majority of them stand throughout the distance. It would be better if the interiors of city buses are re-designed to have more space for standing commuters with sufficient hangers and providing a few seats for the sake of elders and disabled or women carrying kids. This way, more people can travel in a bus and the loss being sustained can be recouped by KSRTC. Hi-end buses are bleeding KSRTC/BMTC and KSRTC must ensure that in future purchases of ordinary buses is given priority which fetch them more revenue than hi-end buses. A/C buses are a waste and there is no class action in such purchases. I totally concur with what you are saying, the pacifist attitude of ‘chod do’ or ‘jaane do’. This actually happened to me recently and please bear with me while I narrate this incident. I was driving home at 4 pm in the afternoon, after having just picked up chicken from the butcher. I was taking one of the by-lanes in bytaranpura to get home, and this is one of those narrow lanes where two cars can hardly pass. I was in a centrally locked car with windows rolled up. Another car grazed my car and dented both the right side doors. I didn’t want to kick up a fuss since I was alone (and thought, chod do- jaane do), so I just drove by. All of a sudden, a biker maniac started following and honking at me. I thought he needed something, so I stopped. He leveled with me and started knocking on my window. I rolled it down just a little to ask him what happened. He is like get out of the car. I asked him why- he said- because I damaged the other car (completely unrelated to this biker- the driver of the other car was already off). I said I am not getting off and I rolled my window and drove off. He sped up and came right up to me and I won’t have been bothered if not for one of those nasty speed bumps where one has to go down in speed. He parked his bike in front of my car and started banging on all the windows and systematically trying all the doors. Then he started picking up rocks, which is when I panicked. Another car drove by and saw what was happening, but didn’t stop to help. Somehow, on that narrow stretch, I reversed and drove off. He followed me. I thankfully had the presence of mind to call my institute, which wasn’t very far off, and they sent about 10 security guards and drivers to my aid, who then arrived. By then, I also called 100 screaming. The cops arrived, and they asked me to let the guy go, because it wasn’t such a big deal, and ‘what had he done to me’? Also, they were pretty pissed off that I didn’t speak Kannada and was taking the help of our security men to communicate with the cop. Every body- cops, random bystanders, random people (except for our own security) started trying to convince me to let it go. I finally had to, because I was leaving for Spain the next day and I would not have been able to leave if I had followed it up! Crimes, misdemeanours, punishments and consequences. I don’t think we’ll ever reach a balance on what is the ideal punishment for a misdemeanour. Will it be right to jail him for a ‘misdemeanour’ like in the case of a ‘crime’? Unlike netas the common man suffers heavily for serving jail-terms. But would it be right to just set him free after a warning? For slapping a commuter that too? As a BMTC commuter I understand the gravity of what he’s done. But what is BMTC doing about all this? Any programs or workshops to improve crew-behavior? Have they drawn lines as to what is unacceptable behavior leading to termination of employment – things like this that is? Personally my solution would be to penalize BMTC heavily for this, penalize and suspend that crew member until he attends some crew behavior training and then put him back slowly and on observation for a while, and put him back on the promotion scale if it exists. Make BMTC take steps to ensure that such incidents do not happen in future and hold them accountable for their crew’s behaviour.